Do you two finish each other's. . . sandwiches? Have you brought home Chinese food just as your partner was daydreaming of their favorite sweet and sour chicken? When you two split a piece of pie does one of you prefer the crust while the other loves the filling? It's not often that the heart and the stomach align allowing the perfect snack pack to come together. Cookies and cream have been a classic combo long before the Oreo. People have been craving that creamy crunch since we were living in caves. In fact, while some paleontologists have argued that the circle motif stands for the circle of life, many have hypothesized that cave drawings depicting a circle within a circle were rudimentary designs for the early Oreo. That's all to say, this addictive cookie was a long time coming. How beautiful that two chocolate cookies get to be together until the crunchy and delicious end. Even the last Oreo hidden behind a fold of plastic in an empty sleeve will never be lonely, those cookies have each other. If you're looking for an edible take on the classic couples costume this Oreo ensemble won't disappoint. In this adorable dream team costume the only thing the two of you will have to argue about is who gets to wear the creamy side. You can always solve the dispute with an Oreo, if the cream comes off on the left side you get to be the creamy side and visa-versa. 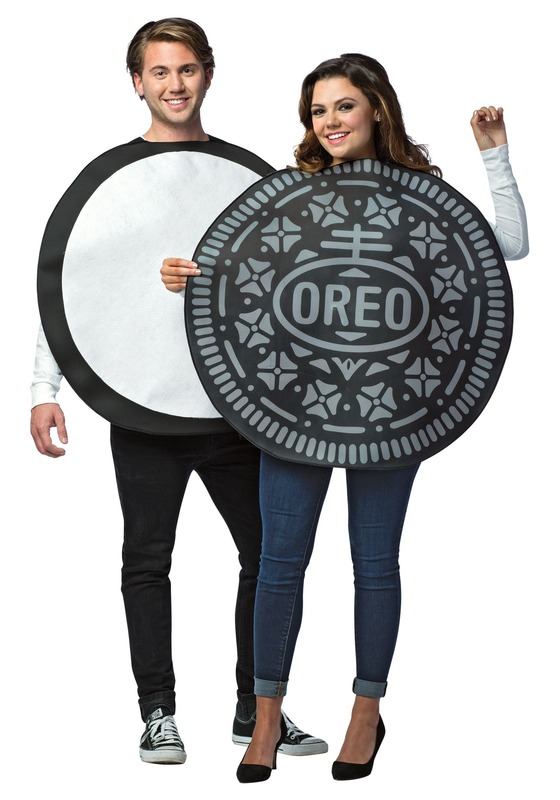 Even if you end up dressed as the cream free chocolate cookie, this Oreo costume is sure to make your Halloween night as sweet as can be.